The DAC is expected to cost $1.2 million a year to operate. Oakland's controversial surveillance project, the joint port-city Domain Awareness Center, or DAC, is very expensive. City staffers have estimated that the system's cost over five phases of planning, construction, and expansion will be $10.9 million. The federal government has funded the basic construction phases, but getting the DAC built is just the first step. Running the vast network of cameras, sensors, and communications equipment will cost about $1.2 million a year. And internal documents reveal that the city and the Port of Oakland likely will have to pay some — and possibly all — of those costs. Last summer, when city staffers gave members of the Oakland City Council Public Safety Committee an update on the DAC project, they presented them with a potential future funding stream of federal grants that are set to end in 2017. But city staffers didn't inform the council members that building the DAC is akin to establishing an unfunded mandate for the city, as the feds are only paying for the construction of the system — not ongoing operations, maintenance, and future upgrades. The DAC has come under fire from some Oakland residents and civil liberties organizations for numerous reasons. Last month, we reported on city staff's stated intent to use the surveillance center to spy on political protesters, and of staff members' effort to carve out exemptions in the city council's planned privacy and data retention policies that limit the surveillance center's scope and uses (see "The Real Purpose of Oakland's Surveillance Center," 12/18/13). During hearings in July and November, critics also repeatedly warned the city council that grants from the US Department of Homeland Security did not include funding for maintenance and staffing for the DAC in the years ahead. In addition, the Port Security Grant program identified by city staffers as providing funding for the surveillance center requires participating municipalities to reapply on an annual or biannual basis with no guarantee of renewed monies. According to internal emails we obtained from the Port of Oakland, the surveillance center's staffing costs will amount to at least $1.2 million per year. A June 20, 2013 email from port security director Michael O'Brien to then-OPD Captain Blair Alexander; the city's Director of Information Technology, Ahsan Baig; and the city's director of Emergency Services and Homeland Security, Renee Domingo, also discussed the need for Oakland to make a long-term financial commitment to secure future federal grants. "As far as City support for the DAC, we need something positive and substantial that shows the DAC will be sustained following the grant supported bridging strategy, which only covers the first two years of DAC ops, if approved," O'Brien wrote. "This MOU [Memorandum of Understanding between the city and port] is a draft and subject to significant change over the next several months. We can put the language in to hedge our bets, but if the federal reviewers don't see a commitment from both parties in the agreement, they may reject our claim that we will sustain the operation." We asked O'Brien and port media representative Robert Bernardo to explain how the DAC will be funded in future years. Bernardo declined to comment on funding issues and referred us to city staff. We then asked City Administrator Deanna Santana and four councilmembers — Libby Schaaf, Dan Kalb, Noel Gallo, and Lynette Gibson McElhaney — whether the council has discussed the possibility of funding the surveillance center using the city's own revenue or other non-grant sources, and whether the council has ever been presented with a dollar amount for the potential operating costs of the DAC. We also asked whether the port had approached the city about sharing operating costs for the surveillance center. Schaaf responded that the answers to all three questions are "no." The council is in the dark about the possible need to fund the DAC with city money, and has not been presented with an estimated dollar amount for the DAC's annual maintenance and operations after grants run dry. Nor has the city been contacted by port staffers regarding potential cost-sharing for DAC operations, Schaaf said. 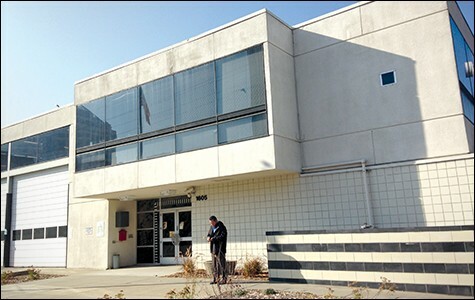 "The takeaway from staff reports and presentations was that this would be a cost-neutral project" for the city, said Linda Lye, a staff attorney with the American Civil Liberties Union of Northern California who has strongly criticized the surveillance center because of what she sees as the threat it poses to privacy. "This was a foreseeable issue that should have been presented to the city council, and it's now clear that the city council did not have full information about the financial costs as well as the privacy concerns posed by the Domain Awareness Center." Len Raphael, a longtime Oakland resident who ran for city council last year and who closely follows the city's budget and public safety issues, said the lack of a clear funding plan for the DAC is worrisome. "This is same old problem Oakland runs into when it gets grants or borrows bond money to do big physical public works projects but has no budget room for operating and maintenance," Raphael stated in an email. "What happened in Oakland — and will happen in other cities — is a natural outgrowth of being handed large amounts of money for surveillance systems without any strings attached," said Rajiv Shah, a professor of communication at the University of Illinois-Chicago who studies large-scale surveillance centers. We shared information about Oakland's Domain Awareness Center with Shah. After his review he said, "cities will naturally want this money and then use it how they please." In order to staff the DAC, the city plans to assign twelve full-time employees, including five "watchstanders" — police or civilian employees who monitor cameras and other surveillance feeds 24 hours a day — plus another five "watch supervisors." A supervisor will oversee the entire DAC, and the city will assign a full-time emergency planner to the center. An estimate of the annual cost of these staff positions is $1.2 million, according to emails we reviewed. An August 2, 2013 email from O'Brien of the port to DAC project staffers Domingo and Baig and various OPD personnel explained that these DAC operators might be either city or port staff, or even private security contractors hired by the city. According to O'Brien, the port and city are applying for FEMA funding to pay for two years of DAC operations, but after that they are searching for a long-term funding stream to support the "sustainability of the DAC." Civil libertarians are also troubled by the apparent involvement in the DAC's design by staffers from the Northern California Regional Intelligence Center (NCRIC) — the regional fusion center that combines surveillance data from numerous locations. In March 2012, Eric Napralla of the Port of Oakland notified individuals from OPD, the US Coast Guard, the California Highway Patrol, the Alameda County Sheriff, and the NCRIC that they had all been selected "to participate in the City/Port of Oakland – Conceptual Design – Domain Awareness Center survey." In a phone interview, NCRIC Director Mike Sena said Oakland staffers have yet to follow up with NCRIC personnel for the survey. 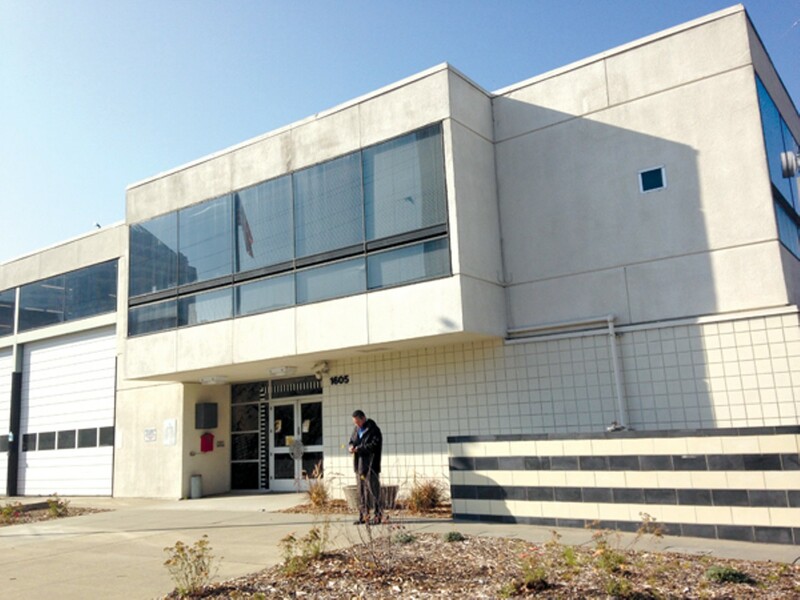 Furthermore, Sena said NCRIC has not discussed establishing a data link to the surveillance center with Oakland officials despite planning documents indicating that the NCRIC is one of the agencies earmarked for data-sharing. Communications between Domingo and O'Brien from last May also reveal that O'Brien planned to travel to Chicago with Baig and then-OPD chief Howard Jordan to review that city's fusion center. O'Brien told Domingo and Baig that the goal of the Chicago fusion center field trip was "to better plan for the establishment of our DAC." City and port staffers are also debating whether to classify the DAC as a fusion center to allow the city to apply for state grants designed for law enforcement intelligence-sharing centers. In June, OPD administrative analyst Andrea Van Peteghem notified Baig, port maritime security project administrator Napralla, and two other OPD civilian employees about two grant programs from the Department of Homeland Security and the Justice Department intended for fusion centers. In response to a question by Baig about whether the DAC could qualify as a fusion center, Van Peteghem replied: "According to the [grant] RFP, the DOJ and DHS define a 'Fusion Center' are owned and operated by state and local [original emphasis] entities with support from federal partners in the form of deployed personnel, training, technical assistance, exercise support, grant funding, etc." According to Lye of the ACLU, these emails raise serious questions about privacy issues. "Fusion centers have been subject to a number of reports about concerns of over-sharing information between law enforcement agencies and their private partners, as well as eyebrow-raising expenditures," she said. "If the Domain Awareness Center is in fact a fusion center, it lays bare that this project will be a massive data stockpiling effort. The whole point of fusion centers is to gather and share information across the country." Even if city and port staff were able to fund the DAC purely with federal grants far into the future, it would be a problem, said Kade Crockford, director of the technology for liberty program at the ACLU of Massachusetts. "We're not making these decisions in democratic fashion," said Crockford, who has been following the development of the DAC in Oakland. "Legislators are not deciding the key issues. In a lot of places it's Homeland Security that is funding these programs." The danger in this scenario, according to Crockford, is that controversial projects like mass surveillance become imposed without democratic oversight. "This has a very real effect of taking control away from local governments, control over the police. When cops get money from the feds they don't have to deal with oversight from elected leaders. They can act, shrouded in secrecy."